The Albemarle is delighted to exhibit the works of celebrated artists, Jamil Naqsh and Mersad Berber at Pontone Gallery. Naqsh has become one of the most significant and well-known contemporary artists from Pakistan. Long famous in his own country, and also well established in international auctions, his work reflects not just the culture of Pakistan, but also that of the whole of the Indian subcontinent, both Muslim and non-Muslim. In this new series of images, Naqsh reaffirms his reputation as a master draughtsman, with a sidelong glance at established Western traditions to which he both does and does not belong. His works offer a touching footnote to the culture from which he comes, while speaking eloquently of the romantic feelings held in common by individuals in multiple cultures throughout the globe. 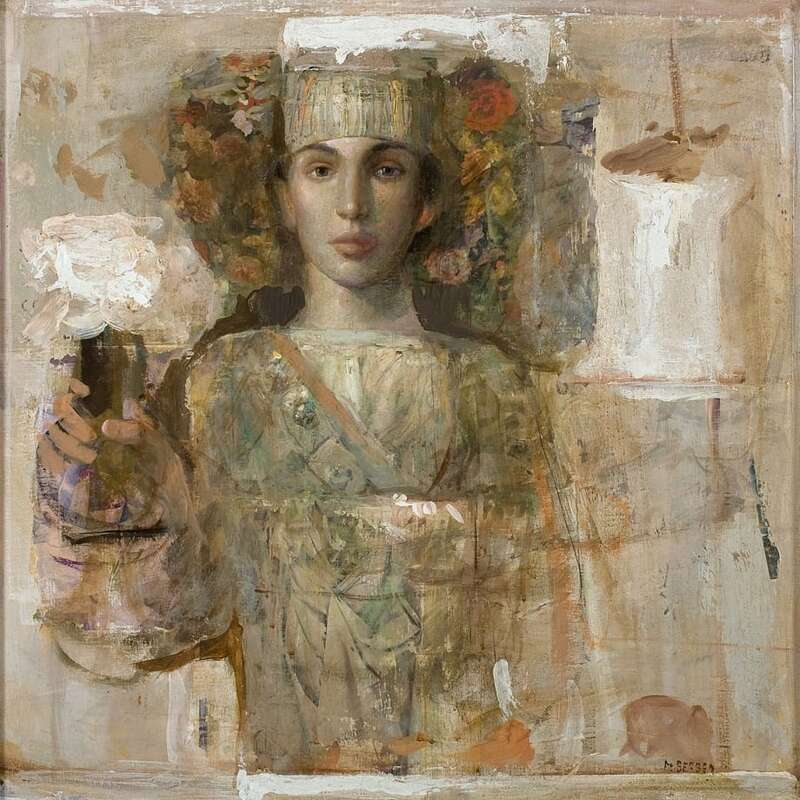 Albemarle artist Mersad Berber was the most considerable artist to emerge from the chaos the Balkan wars of the 1990s. He achieved a degree of international celebrity previously unknown for any artist who came from this region of Europe before his death in 2012. In this posthumous exhibition, The Albemarle is proud to present a collection of his works that reflect the breadth of Berber's great cultural interests, including elegant female portraits, based on High Renaissance prototypes, with which he challenged the 16th century masters of the Venetian school; paraphrases of Velazquez, which express his profound admiration for the great Spanish master; and paintings of horses, which recall his love for the peasant life of the Bosnian countryside. The frequent fragmentation of these images also makes it clear that these are the product of an extremely contemporary sensibility. Held at Pontone Gallery, this exhibition offers a unique opportunity to view the incredible, culturally infused works of Berber and Naqsh together.